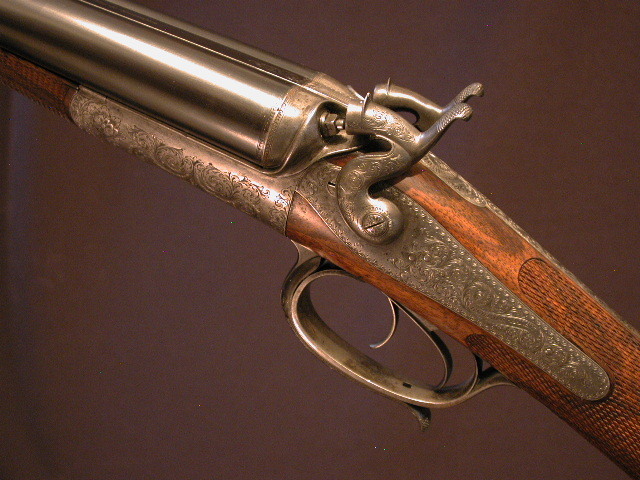 GH DAW, LONDON, Non-rebounding hammer gun. 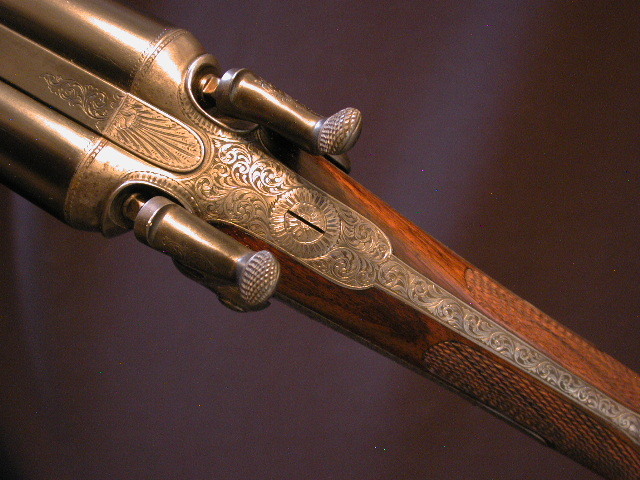 Round body, back action, underlever sidelock. Sleeved my Kirk Merrington, 28" choked IC/Sk2. 14 3/8" top drawer, highly figured wood to heel and toe caps. Handsomely engraved throughout, showing little wear. 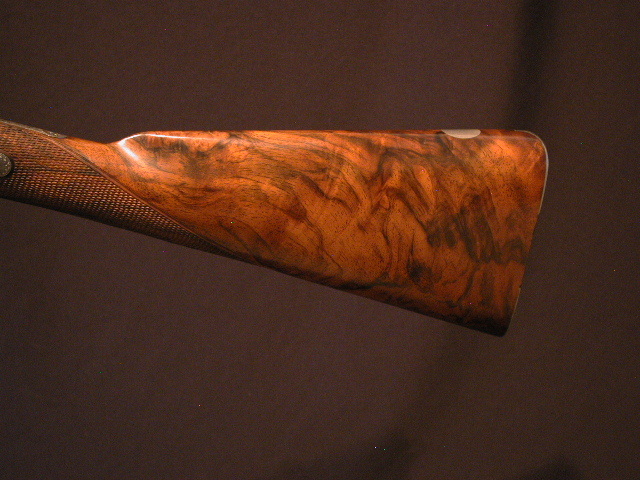 Another unique action with permanent, keyed forend, percussion style fences and snap action underlever. 6lbs 14oz. 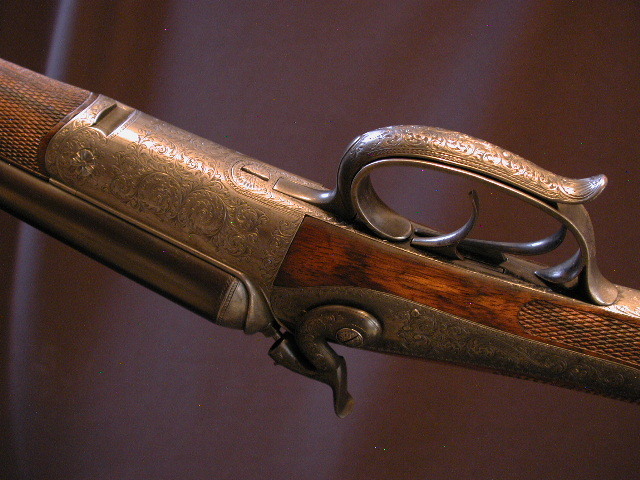 An exceptionally clean vintage hammer gun perfect for a vintager's shoot.